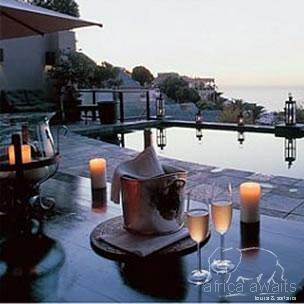 Les Cascades de Bantry Bay is perched on the slopes of Lions Head, dramatically overlooking the Atlantic Ocean. The lodge is a stone's throw away from the bustling city, the famous Victoria & Alfred Waterfront, Table Mountain and the sandy beaches of Clifton and Camps Bay. The name ‘Les Cascades’ is derived from the resort's layout; one terrace leads down to the next, until the main sun deck, with its magnificent pool and the Balinese pavilion is reached. A place for contemplation and relaxation. 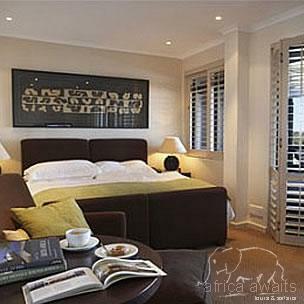 Les Cascades de Bantry Bay offers 3 Luxury Suites with en suite bathroom, lounge and separate bedroom and 3 Superior Rooms. All rooms are sea facing, have frontal sea view and all have private balconies. The rooms are air conditioned, have king size beds and are equipped with 32” flat screen satellite TV’s, DVD/CD players, WiFi broadband internet access points, espresso machines, mini bar as well as electronic safes. The en suite bathrooms have a full bath, separate shower and a wall mounted hairdryer. The main sundeck boasts a 13m salt water swimming pool, an Indonesian Balé and a massage pavilion with ‘his’ and ‘hers’ massage tables and steam room. Breakfast, Lunch and Dinner are served al fresco on our terrace with a spectacular sea view, or inside the intimate restaurant. The paternal presence of Table Mountain, the pristine coastline with its white sandy beaches, the magnificent countryside with its bountiful rivers, vleis and dams, and the unique flora kingdom, together with the warm summer climate and friendly community, makes it perfect for any vacation. There is much to see and do in the Mother City, and we can certainly assist you with your planning. 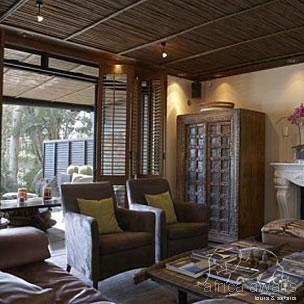 With your holiday, safari or business trip from in to Les Cascades De Bantry Bay in Cape Town.